Starting July 2018, Mint Julep Experiences will offer public bourbon tours every Sunday! Adding to our popular lineup of bourbon distillery experiences, the new tours will head south of Louisville to Maker’s Mark Distillery and Lux Row Distillers. The full-day adventures depart from the Galt House Hotel in downtown Louisville. You’ll travel with an expert bourbon tour guide in one of our luxury vehicles. Your ticket includes distillery admissions for tours with tastings, lunch and bottled water. Our new Sunday tours leave a little later than usual, at 9:30 a.m., so you can sleep in and still make your tour! Your first chance is July 1. Sunday bourbon tours run through October 28. The first stop is Maker’s Mark in Loretto, Kentucky. Tours of Maker’s Mark Distillery are requested more than any other Kentucky bourbon destination. This iconic facility crafts their signature bourbon and Maker’s 46 varieties. You’ll get to see the distillery, learn about the history of the brand, enter a rickhouse, and walk past the bottling line where they dip every bottle in red wax. The picturesque distillery tour includes a tasting of Maker’s Mark products. Our final stop for the day is Lux Row in Bardstown, Kentucky. This brand new distillery just opened early this year! You’ll get a guided bourbon tour followed by a tasting of housemade spirits. Brands that call Lux Row home include Rebel Yell, Ezra Brooks, Blood Oath and David Nicholson. 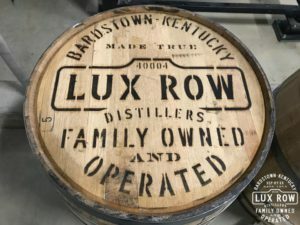 Lux Row’s range of Kentucky straight bourbon whiskeys are the stars of the distillery. See their 43-foot copper still and learn how this growing business is distilling for the future. 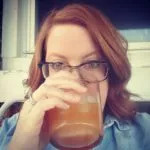 We’ll drop you back at the Galt House around 5:30 p.m. to enjoy the rest of your stay in Louisville.